Grade 6 takes a journey through Jewish history, beginning with our earliest ancestors, Abraham and Sarah, and ending with the latest link in the chain—us! The children participate in interactive programming at each stage of the Jewish timeline, from role-playing a town meeting in a shtetl to simulating the journey to Ellis Island. To better connect our past and our present, students engage in three very special projects and events: our annual trip to the Lower East Side and the Tenement Museum; an oral report based on their interview of an immigrant to the US; and our Living Museum, in which the students curate an exhibit of important artifacts from their own families. Our Hebrew studies continue to prepare the children for all the prayers they will lead at their Bar/Bat Mitzvah service. The students also learn the Torah cantillation skills they will need to chant their Bar/Bat Mitzvah Torah portions. 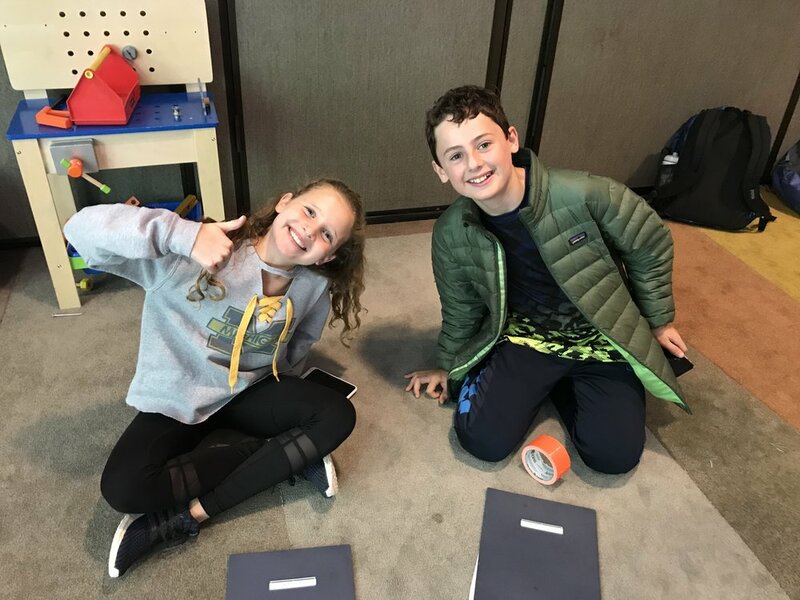 We collect tzedakah every week in Grade 6, and the class selects an organization to which these funds will be contributed at the end of the school year.